warning: file_get_contents() [function.file-get-contents]: php_network_getaddresses: getaddrinfo failed: Name or service not known in /var/www/web185/web/sites/all/themes/org/template.php on line 105.
warning: file_get_contents(http://urls.api.twitter.com/1/urls/count.json?url=http%3A%2F%2Foxfordresearchgroup.org.uk%2Fpublications%2Fbriefing_papers_and_reports%2Fwar_syria_proxy_element) [function.file-get-contents]: failed to open stream: php_network_getaddresses: getaddrinfo failed: Name or service not known in /var/www/web185/web/sites/all/themes/org/template.php on line 105. This briefing was originally published on e-International Relations on 4 July 2013. While there is a strong element of a proxy war behind the bitter fighting in Syria, the forces and interests involved are best understood in terms of inter-state relations going back more than a decade. In the aftermath of the 9/11 attacks and the subsequent termination of the Taliban regime, President George W. Bush gave his State of the Union Address to Congress in January 2002. In this Address he extended the War on Terror against the al-Qaida movement by defining an “axis of evil” of states that supported terrorism and sought weapons of mass destruction. These were identified in the address as Iran, Iraq and North Korea and were claimed as states that presented a grave threat to the United States and its allies. In a speech at the West Point military academy four months later, Bush made it clear that the United States had the right to preempt potential threats, even extending to the use of military action. The Saddam Hussein regime was terminated barely a year later and there existed then, every prospect that Iran would be subservient. Facing US bases in Afghanistan to the East and Iraq to the West, and with the US allies across the Gulf protected by the US Navy’s newly reconstituted and singularly powerful Fifth Fleet, Iran would not present a problem. Two of the three elements of the axis of evil would have been neutralised. At the time of Bush’s “mission accomplished” speech on the deck of the USS Abraham Lincoln on 1 May 2003, this certainly looked to be the outcome, a result welcomed in particular by Saudi Arabia in view of its tense relationship with Iran stretching back to the late 1970s. In the event, the outcome of the wars in Iraq and Afghanistan was radically different to expectations, with prolonged conflicts costing over 200,000 lives. One of the most remarkable political consequences was an increase in Iranian influence in Afghanistan and an even greater increase in influence in Iraq. Iraq under the Shi’a-dominated administration of Prime Minister Malaki, in particular, was transformed in terms of Iranian influence when compared to the bitter eight-year war with the Saddam Hussein regime in the 1980s. For Saudi Arabia this was an uncomfortable development – potentially heralding the rise of a “Shi’ite crescent” stretching from Syria through Iraq to Iran. Into this political context came the Arab Awakening in early 2011 which led to rapid regime change in Tunisia and Egypt followed by nonviolent public protests against the Assad regime in Syria. The regime responded with excessive force and incited a rebellion that evolved into an insurgency that, within months, looked to threaten the Assad regime itself. 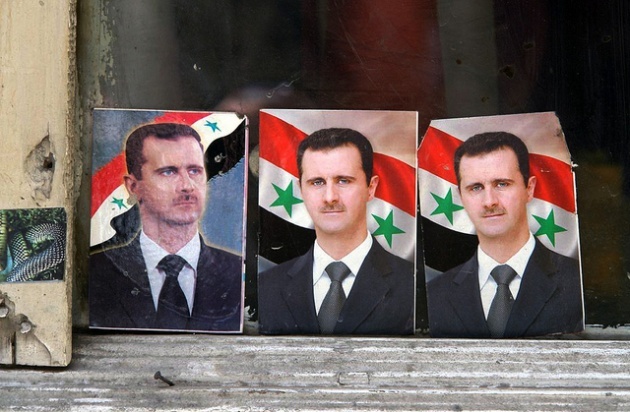 By late 2011 Syrian rebels were gaining support from Saudi and Qatari sources, including funding for weapons, while the Assad regime received early aid and advice from Iran. Within months there was a strong element of a proxy war, with Iran backing the regime and Saudi Arabia and Qatar backing the rebels, complicated further by an unusual double-proxy element; Western states backing the rebels against the regime, but Russia supporting the regime. Western motives stemmed partly from the brutality of the suppression of protesters but more so from an antagonism to Iran and, in the US case, to Hezbollah and its challenge to Israel. For the Russians there was an underlying antagonism to regime termination when undertaken by Western states but also Syria was Russia’s one remaining client state in the region, with this including the provision of a base for the Russian Navy at Tartus. In recent months, the double-proxy element has become more dominant but for Western states it has become complicated by the increased prowess of Islamist paramilitary units among the rebels. Their presence was minimal in the first year of the war but has grown rapidly to the point where they have become a highly significant element, a problem for the US, UK, France and others because many of them have a shared outlook, if not a direct link, with the al-Qaida movement. One aspect of the war in Syria is deeply ironic in that it relates to the termination of the Saddam Hussein regime in two quite different ways. One, as stated above, is that a key result of the war has been to increase Iranian influence in the region – the opposite of what was anticipated in Washington a decade ago. The other is that one effect of that war was to produce a cohort of dedicated young paramilitaries who had travelled to Iraq from across the Middle East to join the war against what were seen as the Crusader (American) occupiers in the mid-2000s. In the 1980s, an earlier generation of jihadist paramilitaries had gained combat experience against low-morale Soviet conscripts in a rural environment in Afghanistan. Some went on to form elements of the al-Qaida movement. Two decades later another generation gained combat experience against well-armed and well-trained US soldiers and Marines in a bitter urban insurgency in Iraq. Skills acquired there are now being used in Syria, with those responsible offering some of the most potent opposition to the Assad regime’s forces. To further complicate matters there is some recent evidence that Islamist paramilitaries are being supplied with Russian-manufactured AT-5 Spandrel anti-armour missiles while the Assad regime is getting increased support from Hezbollah paramilitaries. In the past six months the Assad regime’s forces have made significant gains, against Western expectations, but it is highly unlikely that they can regain control of the entire country, not least because any prospect of that will be met by increased Saudi, Qatari and Western support for the rebels. Should the regime itself suffer reversals, it is well-nigh certain to get increased aid from Iran and Russia. The double-proxy element therefore remains, heralding the prospect of a sustained but very violent stalemate. In such a negative situation there are two signs of hope. One is the election of President Hassan Rouhanhi in Iran, given that he has a track record of relatively good personal relations with the Saudi authorities. This gives a prospect for a modest improvement in relations between these two proxy states. The other is that U.S. Secretary of State John Kerry and Russian Foreign Minister Sergei Lavrov have a rather good personal relationship, with the potential to aid cooperation between Moscow and Washington. In a very bleak situation, with close to 100,000 Syrians killed already, there is some potential for improved relations concerning the parties involved in this unusual double-proxy war – one of the few signs of hope. What is certain is that any effort to bring together the external parties to this conflict is essential if attempts are made to bring this disastrous conflict to an end. Paul Rogers is Global Security Consultant to Oxford Research Group (ORG) and Professor of Peace Studies at the University of Bradford. His ‘Monthly Global Security Briefings’ are published on our website every month, where visitors can sign-up to receive them via our newsletter each month. Our publications are circulated free of charge for non-profit use, but please consider making a donation to ORG, if you are able to do so. Copyright © Oxford Research Group 2016. Some rights reserved. This publication is licensed under a Creative Commons Attribution-NonCommercial-NoDerivs 3.0 Licence. For more information please visit http://creativecommons.org/licenses/by-nc-nd/3.0/.